With a week to go to the municipal poll, it was perhaps inevitable that questions were raised over the timing of the Statistics South Africa (Stats SA) survey of capital expenditure by public institutions, including municipalities. But Statistician-General Pali Lehohla on Tuesday underscored that the information was key for citizens to hold accountable their government representatives, although the relationship between spending and quality services may not be a straightforward one. By MARIANNE MERTEN. The 2016 local government electioneering has been dominated by national dynamics – not only in political rhetoric about ANC corruption and claims of DA racism, but also national housing, sanitation and other figures plastered on various billboards or newspaper adverts. 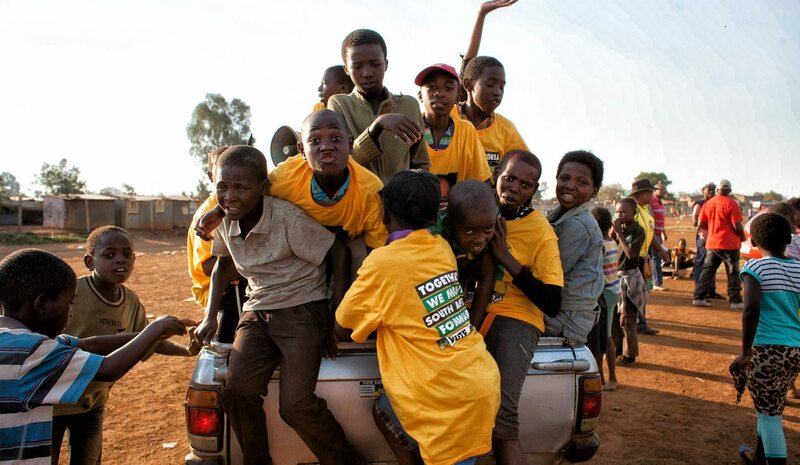 While political parties’ manifestos featured local issues and plans to improve municipal services to residents in metropoles, cities and dorps, these were dwarfed on the campaign trail. Tuesday’s Stats SA survey, “Capital Expenditure by the Public Sector for 2015”, shines a sharp spotlight on what was actually delivered through capital expenditure, or spending on acquiring or improving land, buildings, machinery and equipment or new construction projects. Capital expenditure creates fixed assets, a plus in anyone’s books. “While an election is an important activity in the calendar of South Africa, this report (and others) are important all the time,” Statistician-General Pali Lehohla said on Tuesday, adding that statistics are “a currency of trust”. Capital expenditure overall is up: in 2015 it stood at R272-billion, about R14-billion more than a year earlier. Stats SA shows that state-owned entities such as power utility Eskom, roads agency Sanral and Transnet lead spending at R149.5-billion, or just short of 54% of the total expenditure. The survey shows that the greatest contributor to South Africa’s capital was in electricity (R35.7-billion), largely due to the spending on the new coal power stations of Kusile, Medupi and the pumped storage units at Ingula; roads (R9.1-billion), and both passenger and goods railways (R41.1-billion), through new coaches, locomotives (largely ill-fated due to wrong specifications, according to City Press reports), and better signal infrastructure. Within government, municipalities stand out for leading capital expenditure at R59-billion, or 21.7%, compared to provincial governments (11.4%) and national departments, which spent R16.1-billion or 5.9% of the total. Extra-budgetary accounts of provincial and national departments make up the rest. The statistics helped citizens and public representatives to hold public institutions to account, he said. “We have the instruments that assist South Africa’s democracy to be accountable. How strongly that gets done is a different matter. But the instruments are there,” said Lehohla. Municipalities, as government’s largest contributor to capital expenditure, are led by the eight metros, which spent R32.2-billion of the total R59-billion capital expenditure, followed by local councils (R19-billion) and then district municipalities (R7.8-billion), which are meant to assist up to seven councils in their fold with bulk infrastructure projects. The Stats SA survey shows that not a cent was spent on councillors’ regalia, and that office equipment spending dropped by R72-million to R187-million in 2015, although computer expenditure increased by R82-million to R394-million between 2014 to 2015. However, of potential concern is the drop in spending on the acquisition and development of land as this underlies any housing or other spatial development. In 2015 just R36-million was spent on acquiring land, and R513-million on land development, compared to R57-million and R742-million respectively in 2014. Still, in 2015 municipalities boosted spending on new construction projects from housing to sewerage and sanitation, roads and offices (there often can be long lead times between acquisition of land and actual construction). New construction works was up year-on-year and accounted for R51.1-billion of the overall R59-billion capital expenditure. This development may help explain the declines in spending on, for example, transport equipment (down R138-million between 2014 to 2015), plant, machinery and equipment (down R246-million over the same period) and spending on land and existing buildings (down R224-million in the same period). Gauteng, in particular Johannesburg, leads the municipal stakes in new construction projects. In 2015, Gauteng spent 17.1-billion, up from R13.3-billion in 2014, of the country’s total new construction projects worth R51.1-billion. KwaZulu-Natal follows with R9.7-billion (up from R8.2-billion in 2014) and the Western Cape, led by Cape Town, stands third with spending of R5.4-billion in 2015, up from R4.9-billion a year earlier. Bucking the trend is Limpopo, where new construction spending dropped somewhat to R3.9-billion in 2015, down from R4-billion. Metro capital expenditure includes some interesting allocations. According to Stats SA the biggest contributor to the R900-million Buffalo City (East London) spent on capital projects was for building toilets at taxi ranks. In Nelson Mandela Bay, the majority of its R1.4-billion capital expenditure, down from R1.6-billion in 2014, went on water infrastructure (R364-million), roads and bridges (R292-million) and pipeline repairs. Cape Town spent R3.6-billion “on construction split between roads, electricity and water infrastructure” followed by the replacement of 48,622 meters of water reticulation mains as another big ticket item. According to Stats SA, the DA-run city increased its capital expenditure to R5.3-billion in 2015 from R4.6-billion a year earlier. Johannesburg spent the majority of its R10.2-billion capital expenditure, or R8.7-billion, on new power substations and the upgrading of existing ones. In Tshwane, Stats SA lists as big ticket items the A Re Yeng rapid bus transit system and Tshwane House, the municipal offices, while eThekwini spent a quarter of its R4.8-billion capital expenditure on non-residential buildings, which Stats SA defines as including clinics, libraries, offices, schools, workshops and lecture rooms. Tuesday’s Stats SA survey has come a few weeks after last month’s release of the non-financial census of municipalities for the year ending 30 June 2015. This survey showed that, overall, councils delivered better access to water, electricity, sanitation and waste removal between June 2014 and mid- 2015, even if provincial boundaries often impacted heavily on councils’ capacities. However, June’s Stats SA “Non-financial census of municipalities” report also showed a mixed picture with regards to indigent households. The number of indigent and poor households that qualify for such free basic services stagnated – and not every indigent household that qualified actually receives such free services. The survey showed, first, that not all councils had indigent policies, and second, not all municipalities which had these fully implemented the indigent policy.